Morning. Meet today's card. I made it using one of my all time favourite flower stamps by Magenta. I feel inspired when I pick it up to stamp with. I'm sure you have some of those favs in your collection too! 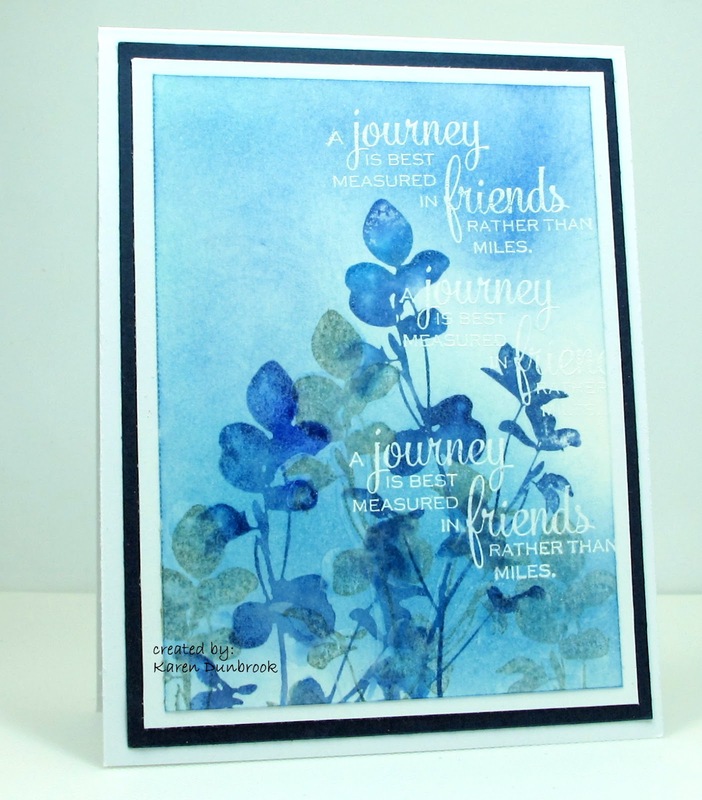 I began by placing the flower stamp called Clover Silhouette from Magenta into my MISTI. I inked with blue Zig markers, sprayed with water then stamped. After stamping with the blue, I inked with grey Memento ink, stamped off to remove some of the ink and then onto my paper to create a shadow effect. I stamped the sentiment from Impression Obsession with Versamark and white heat embossed. Lastly, I rubbed Salty Ocean Distress ink over my card front to help reveal my sentiment. Thanks so very much for coming to take a look.